Bicultural designers bridge the divide? Do they live up to their marketing message? I don’t know — their websites don’t show much in the way of China-based projects. 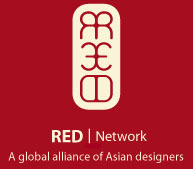 Having said that, being “bicultural” myself, I’d check them out if I was looking for designers. Thanks to Andy Switky of IDEO Shanghai for pointing them out to me. Previous post What if France is making a backup copy of itself in China?